Provides a thorough look at the knowledge of apple scab. Apple Scab: Biology, Epidemiology, and Management provides a thorough look at the knowledge of apple scab, as well as challenges to research and management. Learn about how fungicides and IPM techniques can be used for disease management. More than a review of research findings, this 570-page treatise presents insights, identifies conflicts in published studies, discusses fungicides and IPM techniques, and synthesizes concepts in biology, epidemiology, and management of this disease. 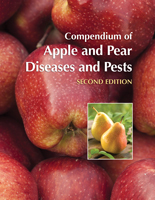 This book is an ideal reference on apple scab for plant pathologists, graduate students, instructors, extension specialists, pest management specialists, crop consultants, agrochemical research and field personnel, and apple growers. 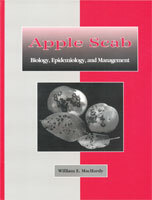 Apple scab is one of our classic plant diseases and of worldwide importance, and for these reasons this book was intended initially to be a monograph on apple scab published as a contribution to the APS PRESS Monograph Series. However, it soon became evident that the text was going to be more than a written account of research findings, so a decision was made to publish the manuscript according to book specifications of APS PRESS. I have tried to organize and present the topics in ways that will facilitate their comprehension, provide new insights, identify conflicts in published studies that need clarification and research, and foster new ideas for basic research and new management strategies and tactics. In short, the book is intended to reveal what is known and what is not known about the disease and its pathogen, with the hope that such knowledge will make clearer what new knowledge is needed to better manage the disease. 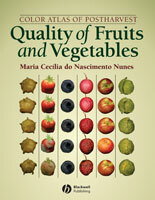 This book has been written for a wide audience: plant pathologists, graduate students in plant pathology and related fields, teachers of plant pathology, Extension, crop management and pest management specialists, crop consultants, agrochemical company research and field personnel, and apple growers. It is intended to be a readable account of apple scab that will be of interest and use to nonprofessionals, yet contain sufficient information and in-depth discussion to be of use to plant pathologists. The book has also been written for an international audience, and I have tried to include much of the information published in foreign languages.